As much as we daydream about beach outings, alfresco dining, and backyard barbecues, we can’t deny that we’re still in the midst of dreary winter. A great way to combat the winter blues? Retail therapy. 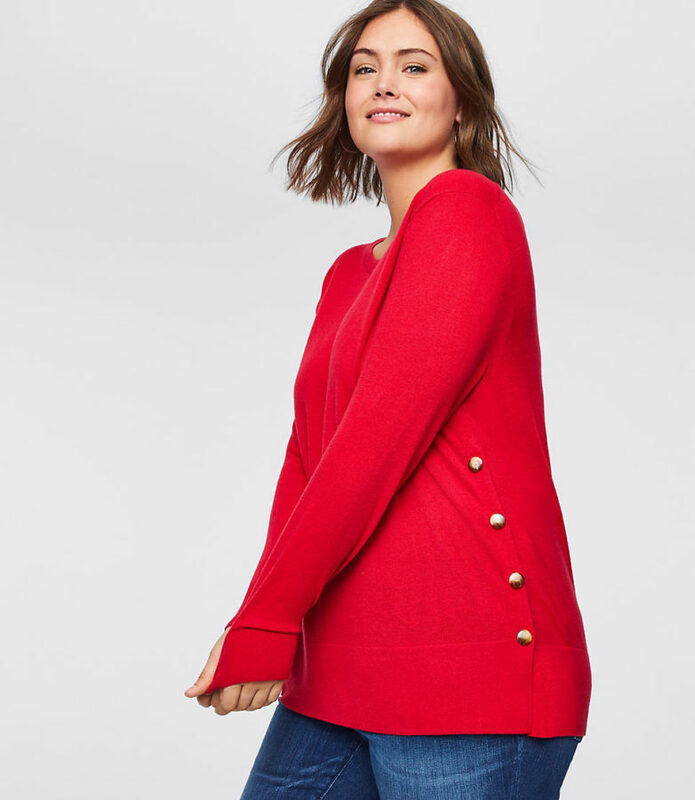 LOFT is running The Happy Winter Sale with 40 percent off your purchase (select full-price styles) and an extra 50 percent off sale styles with the code HAPPY. 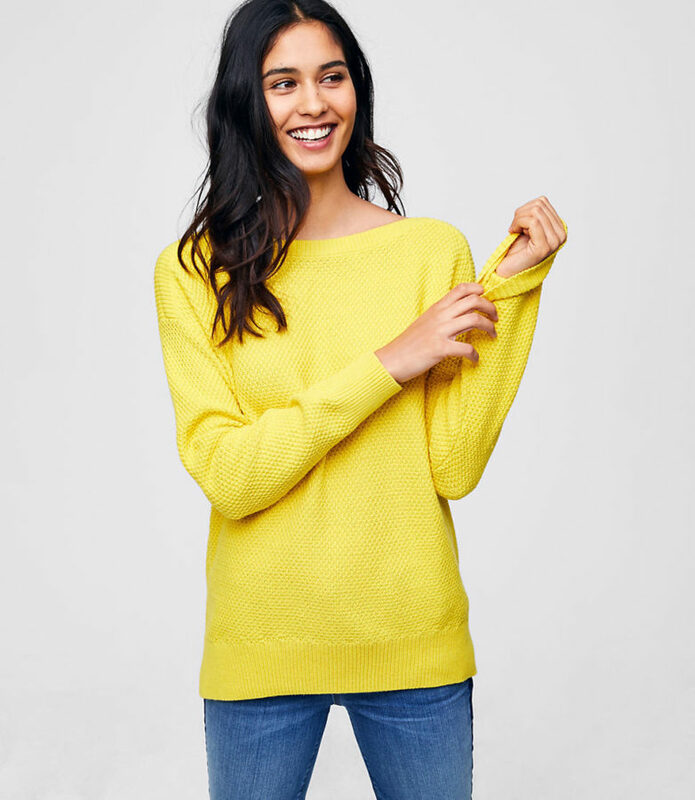 Now’s the chance to stock up on those soft and cozy sweaters that LOFT is known for—at almost half the price. 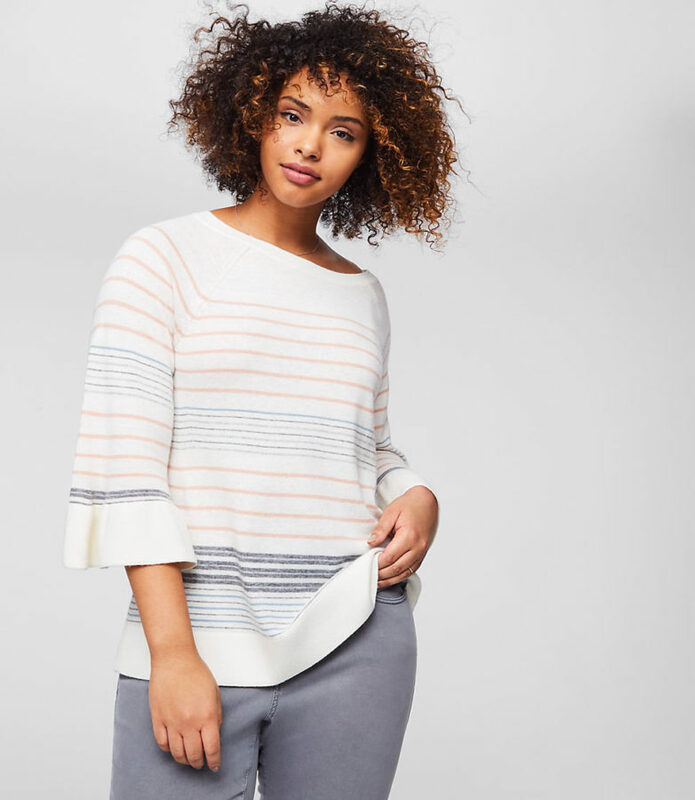 You can wear this textured knit design with leggings when you’re just lounging around the house, or your favorite pair of jeans when you’re at brunch with friends. Choose from olive, pink, white, or yellow hues. To buy: $36 (originally $60); loft.com. 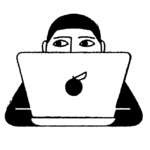 Let’s face it: the air conditioning in the office can reach frigid temps. 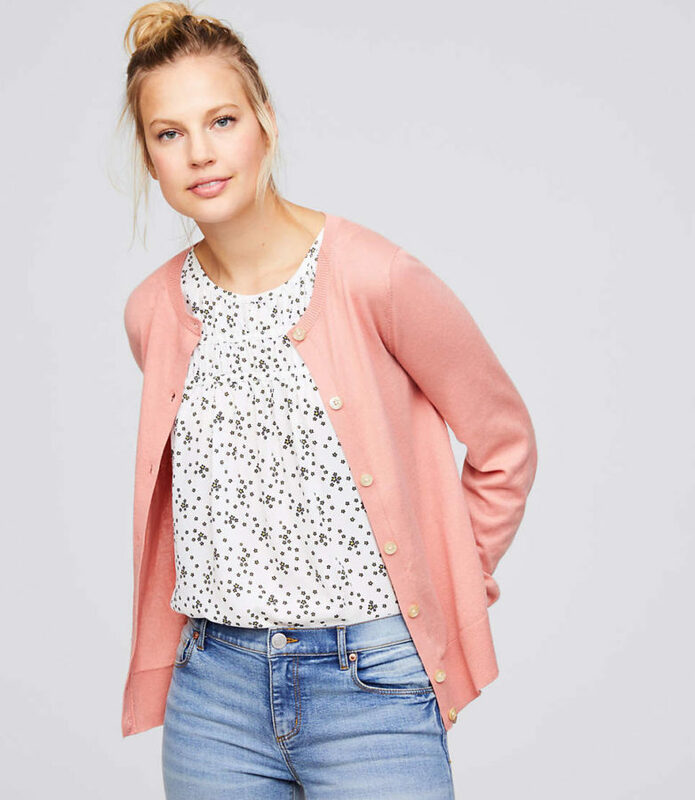 Always keep a cardigan on hand to battle those in-office elements. This one isn’t your grandma’s cardigan—it has billowy, blouson sleeves for a style statement. To buy: $30 (originally $50); loft.com. 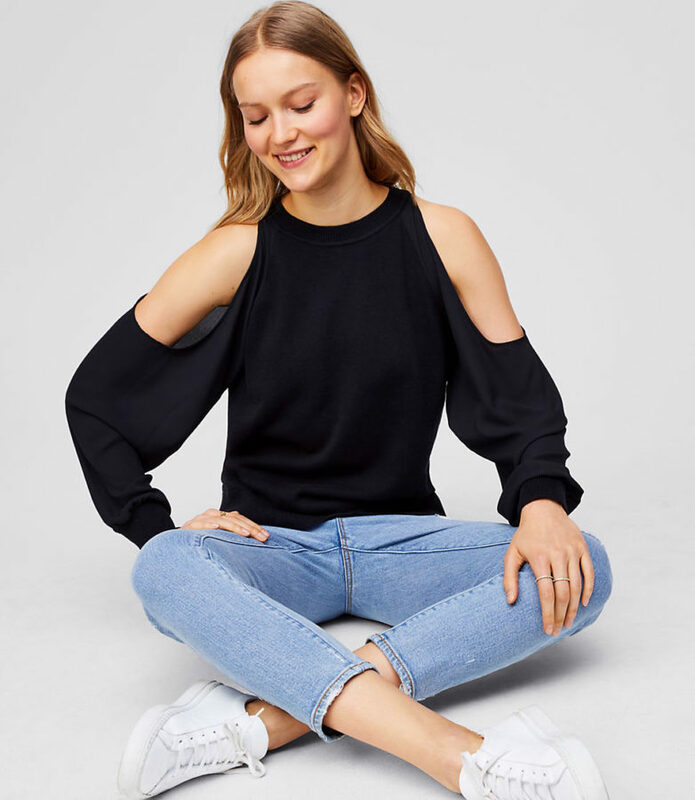 The statement sleeves instantly elevate this sweater. It has a relaxed, swingy fit so it’ll be a go-to when you’re looking to mix up your everyday outfits. 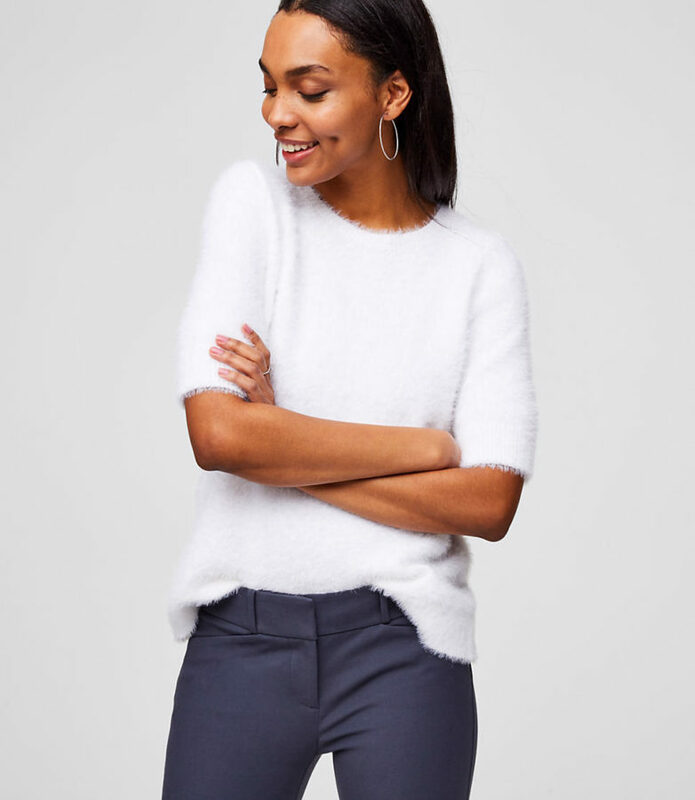 To buy: $33 (originally $55); loft.com. This might be the only way it’s acceptable to give someone the cold shoulder, so to speak. This one would be fun to wear on date night or dinner with the girls—just pair it with some black skinny jeans and booties and you’ve got a polished (and warm!) look. 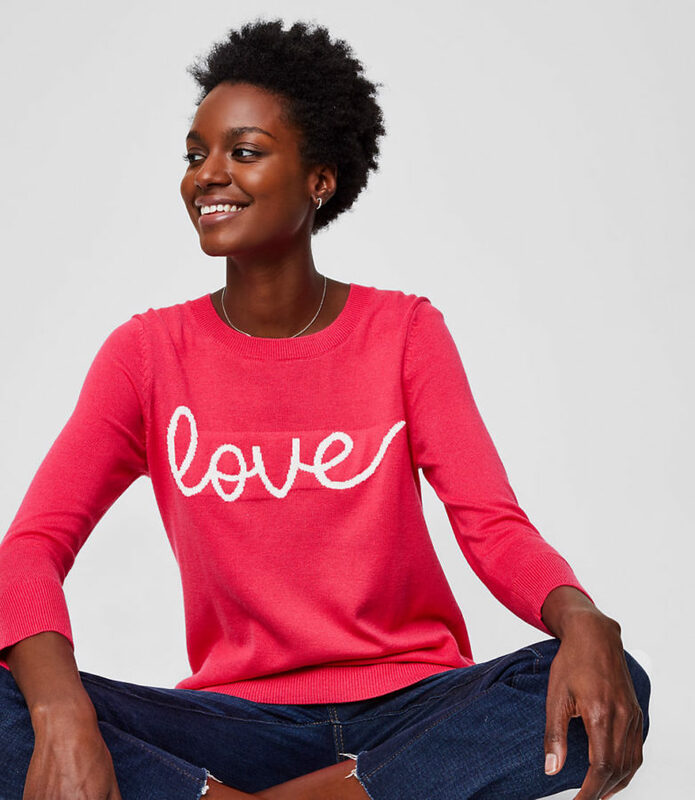 Share love wherever you go with this bright pink sweater. We love it paired with jeans on the weekends, or tucked into a skirt for the office. Snuggly soft, you’ll never want to take off this sweater tee. Pair it with some cropped trousers and you might give off some Audrey Hepburn vibes. The luxe material of this sweater feels like silky-soft cashmere, but without the high price point. Since it’s tunic length, it looks equally polished with jeans or trousers and leggings. It also comes in black and olive green. Get the layered look without all the fuss. 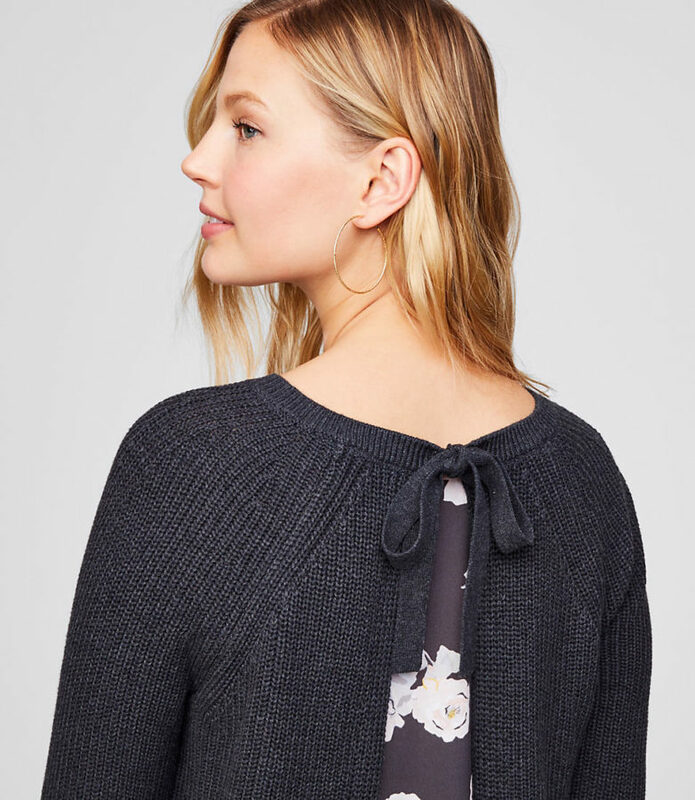 This knit sweater has back panel that looks like you effortlessly mixed the two elements—we won’t tell anyone it’s all one piece. This sweater is for those who like to take some daring fashion risks. The pom pom design is just so whimsical and fun—you’ll definitely turn some heads. To buy: $38; (originally $75); loft.com. This article originally appeared in RealSimple.com.